Your house is dirty and you don’t have time to clean it right now. How do you know where to start to find the best house cleaning service? Are all house cleaning services equal? Not quite. There are a few things you should know when searching for the best house cleaning service. 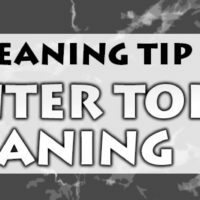 Use these tips to know what to look for when you’re on the hunt for a qualified house cleaning company. Perhaps one of the most important questions you can ask is, “Are you licensed and bonded?” This offers peace of mind knowing you’ll be covered in the event something breaks, someone is injured, or your property is damaged. Don’t take your chances with a company who doesn’t have proper insurance to protect you and your property. If anything goes wrong, you’ll want damages to be covered. Are the cleaning staff trained in how to clean a home? Do they do background checks on staff before sending them to your home? The best house cleaning services place a high value on employing qualified, trustworthy staff. Avoid putting you or your home at risk by choosing a cleaning company with knowledgeable, friendly staff. What happens if the house cleaner misses a spot? Do they offer a guarantee? Mistakes happen. If you notice something isn’t cleaned to standard, you should be able to call and have someone return to fix it within 24-48 hours. Great house cleaning services offer a guarantee on their services so you’re happy with the results every time. Keeping cleaning supplies on hand for your house cleaner can be a hassle. Choose a company who brings the cleaning supplies with them and provides only the best, natural cleaners for your home. Common cleaning supplies can be full of harsh chemicals which are harmful to small children, pets, and the environment. Great cleaning companies offer eco-friendly cleaning supplies to keep you and your family safe. The best house cleaning services may not have the cheapest rates, but they’ll be fair. Choosing a company based on the lowest rates may result in headaches later. Choose a company with fair rates and a track record of excellent service. Whenever possible, choose local house cleaning companies who fit the above criteria. Local Colorado Springs cleaners care about making sure you always have a great experience. If you have a problem, they’re easy to reach and happy to make it right. You’ll love the personal service you receive when you chose a local service. Do your research and don’t be afraid to ask a company important questions. Use these criteria to find the best house cleaning service to meet your needs. Discover how Maid to Shine’s professional house cleaners can clean and tidy your home. Call us or request a free quote for house cleaning today. I found your guidelines for hiring a cleaning service to be very helpful. Thanks! These steps are very useful for hiring a house cleaning service, thanks for sharing with us this information. I have been thinking about hiring a cleaning service, but I wasn’t sure as to what criteria I should look for. I found your information to be very useful, especially the part about pricing. It’s good to know that finding reasonable, but not necessarily cheap is ideal. Thanks for the help!